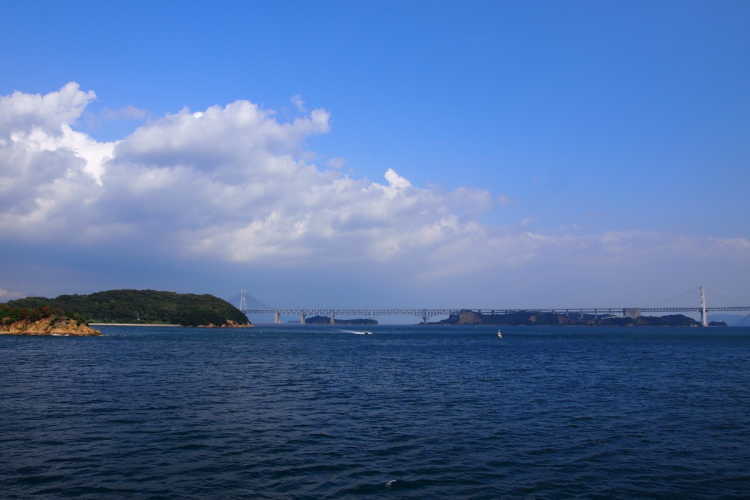 A ferry connecting Marugame Port in Kagawa and Honjima Island, one of the Shiwaku Islands. Enjoying such an opportunity, you might want to come out to the deck rather than stay inside. Honjima Island gathers attentions because of the Setouchi Triennail.